The Fleur-de-Lis design, which is popular for a variety of reasons, including being known for The Song of Solomon, makes an attractive appearance here in Apples of Gold Jewelry's Fleur-de-Lis ring in sterling silver. The .925 sterling silver band of this ring turns into the Fleur-de-Lis shape on top of the ring, and the one piece design is quite beautiful! The attractive flower like design makes this ring versatile and it can be worn alone or with other jewelry that will complement it. 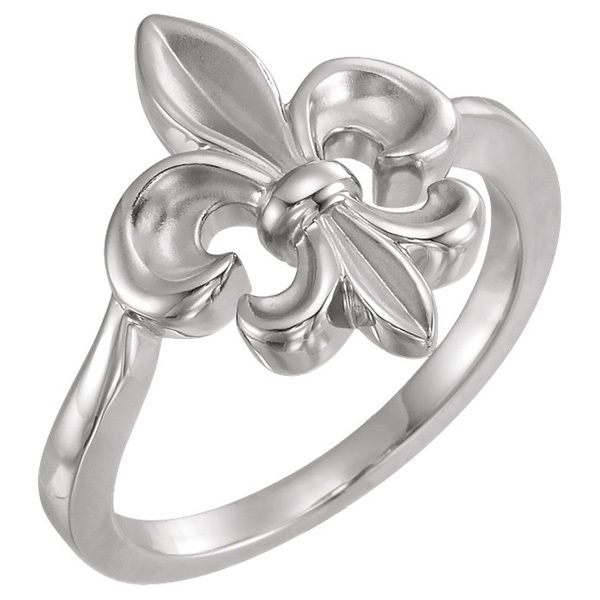 We guarantee our Women's Fleur-de-Lis Ring in Sterling Silver to be high quality, authentic jewelry, as described above.